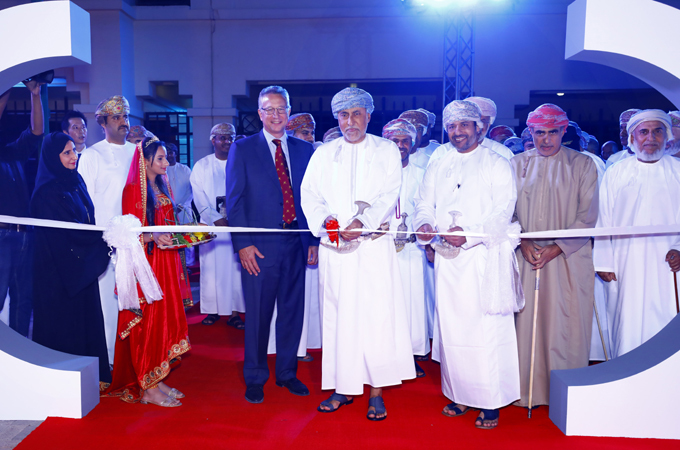 Shell Oman celebrated its 60th anniversary of excellence in the sultanate at an event participated by an array of senior stakeholders from the public and private sectors. The company’s diamond jubilee celebration event was held under the auspices of Sayyid Shihab bin Tariq Al Said, advisor to His Majesty the Sultan, at Intercontinental Muscat. It was also attended by the company’s senior management team and executives. “Our 60th anniversary celebrations have given us the opportunity to look back at the past with pride and to recognise the contribution of those who helped make the company what it is today – an Omani company in terms of both staff and shareholding. Shell Oman has witnessed the development of the nation over those 60 years, particularly under His Majesty’s wise and benevolent leadership, and is committed to the future of the sultanate,” said Chris Breeze, chairman of the Board of Shell Oman Marketing. In an unprecedented initiative to mark Shell Oman’s 60th anniversary, the company has become the first in the Omani private sector to be issued a commemorative set of postal stamps. The stamps were unveiled during the celebration in addition to a special 60 years commemorative book. Shell Oman offers a wide range of Shell automotive, aviation and marine products, including fuels, lubricants and greases, and has a network of over 187 Shell Service Stations strategically located throughout the sultanate.